Welcome to another party!We had an awesome bunch of projects linked up last week! Thanks to everyone who came and partied with us. Here are some features, but if you didn’t check it out, you really should! 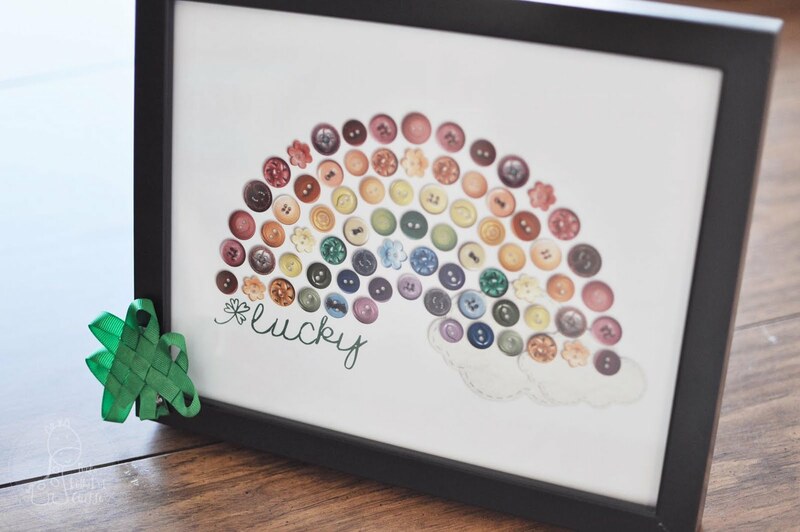 Funky Polkadot Giraffe‘s super-cute button rainbow printable. That’s right, it’s printable! Head over and score one for your home. Perfect follow up for her rainbow jello last week! Girl in Air gets the DIY award this week. Check out her Pottery Barn knock-off! My Little Monkey would LOVE this. He’s all into textures right now. If he’s anything like his momma, he’ll never grow out of that! What a cool wall hanging! Shabby Soul gets the sewing category. What a cute quilt! And a great tutorial to boot! 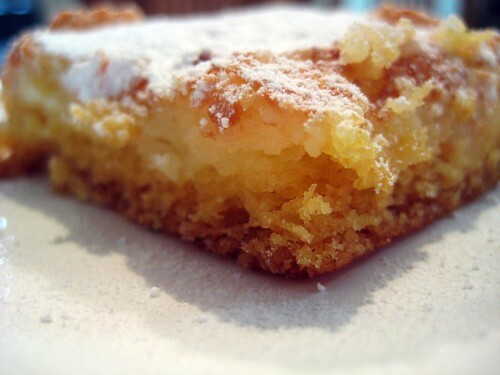 Our cooking category goes to Extreme Personal Measures and her Gooey Butter Cake. YUM! And the seasonal/holiday category goes to Keeping It Simple. Kaysi made a really cute St Patrick’s Day Tile. And check this out… Lori over at Paisley Passions shared this incredible kitchen spruce up! Great Job! Awesome Job Everyone! And thank you for linking up! If you were featured, feel free to grab a button in the side bar if you want one. I’d also love for you to grab a Weekend Wander button and let others know where the party’s at. Now, on with this party! This week I thought we’d do something a little bit different. How about a giveaway? Want some free goodies? Well, kinda. How about some free advertising for your site (blog, Etsy, whatever)? Every link will be worth one entry. At the end of the party (Monday, Mar 7 @ 11:59pm PST), I will randomly draw a winner and they will receive ONE MONTH of free advertising on my side bar. I will contact you if you win and, as soon as you send me your button code, I will post it for one month. Winner will be announced on Tuesday. Everyone could use some free publicity, yeah? So, get to linking! No commercial sites, please! And only one link per post, but feel free to link up as many posts as you want. Have fun and good luck! Thanks for hosting 🙂 And a BIG thanks for featuring my kitchen spruce up! Have a great weekend!!! Oh thanks so much for featuring my button rainbow! Wow! I’m first on the list this time! Never happened to me before! Thanks for hosting!